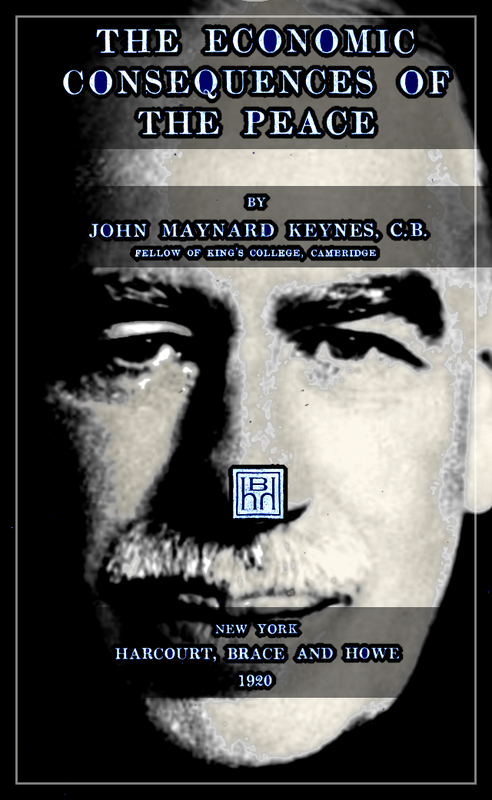 THE ECONOMIC CONSEQUENCES OF THE PEACE by JOHN MAYNARD KEYNES, C.B. Fellow of King’s College, Cambridge – Introduction. ​A warning for our times. The writer of this book was temporarily attached to the British Treasury during the Great War and was their official representative at the Paris Peace Conference up to June 7, 1919; he also sat as deputy for the Chancellor of the Exchequer on the Supreme Economic Council. He resigned from these positions when it became evident that hope could no longer be entertained of substantial modification in the draft Terms of Peace. The grounds of his objection to the Treaty, or rather to the whole policy of the Conference towards the economic problems of Europe, will appear in the following chapters. They are entirely of a public character, and are based on facts known to the whole world. J.M. Keynes. King’s College, Cambridge, November, 1919. The power to become habituated to his surroundings is a marked characteristic of mankind. Very few of us realize with conviction the intensely unusual, unstable, complicated, unreliable, temporary nature of the economic organization by which Western Europe has lived for the last half century. On this sandy and false foundation we scheme for social improvement and dress our political platforms, pursue our animosities and particular ambitions, and feel ourselves with enough margin in hand to foster, not assuage, civil conflict in the European family. Moved by insane delusion and reckless self-regard, the German people overturned the foundations on which we all lived and built. But the spokesmen of the French and British peoples have run the risk of completing the ruin, which Germany began, by a Peace which, if it is carried into effect, must impair yet further, when it might have restored, the delicate, complicated organization, already shaken and broken by war, through which alone the European peoples can employ themselves and live. Perhaps it is only in England and America that it is possible to be so unconscious. In continental Europe the earth heaves and no one but is aware of the rumblings. There it is not just a matter of extravagance or “labor troubles”; but of life and death, of starvation and existence, and of the fearful convulsions of a dying civilization. In this lies the destructive significance of the Peace of Paris. If the European Civil War is to end with France and Italy abusing their momentary victorious power to destroy Germany and Austria-Hungary now prostrate, they invite their own destruction also, being so deeply and inextricably intertwined with their victims by hidden psychic and economic bonds. The British people received the Treaty without reading it. But it is under the influence of Paris, not London, that this book has been written by one who, though an Englishman, feels himself a European also, and, because of too vivid recent experience, cannot disinterest himself from the further unfolding of the great historic drama of these days which will destroy great institutions, but may also create a new world. 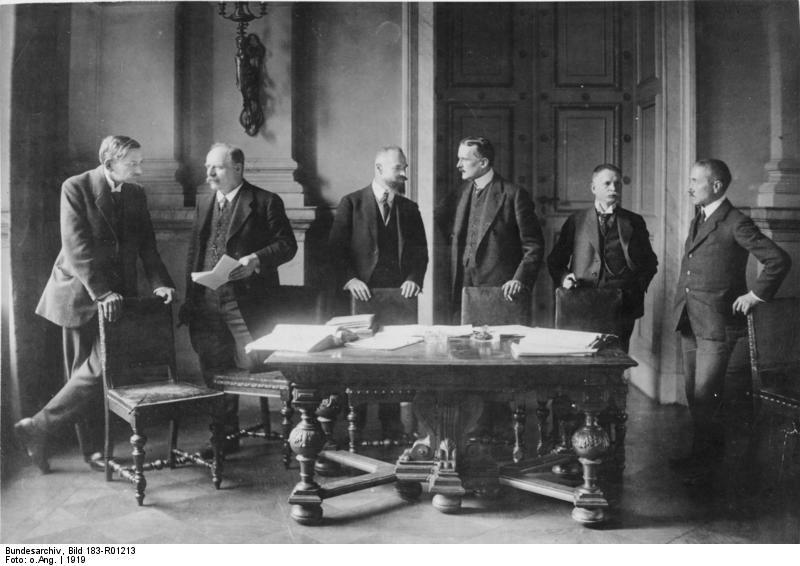 At the Palace of Versailles outside Paris, Germany signs the Treaty of Versailles with the Allies, officially ending World War I. 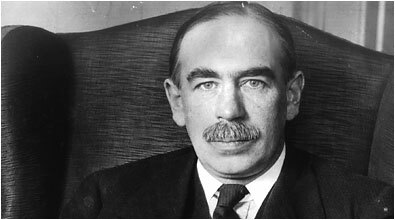 The English economist John Maynard Keynes, who had attended the peace conference but then left in protest of the treaty, was one of the most outspoken critics of the punitive agreement. In his The Economic Consequences of the Peace, published in December 1919, Keynes predicted that the stiff war reparations and other harsh terms imposed on Germany by the treaty would lead to the financial collapse of the country, which in turn would have serious economic and political repercussions on Europe and the world. In January 1919, John Maynard Keynes traveled to the Paris Peace Conference as the chief representative of the British Treasury. The brilliant 35-year-old economist had previously won acclaim for his work with the Indian currency and his management of British finances during the war. In Paris, he sat on an economic council and advised British Prime Minister David Lloyd George, but the important peacemaking decisions were out of his hands, and President Wilson, Prime Minister Lloyd George, and French Prime Minister Georges Clemenceau wielded the real authority. Germany had no role in the negotiations deciding its fate, and lesser Allied powers had little responsibility in the drafting of the final treaty. The treaty that began to emerge was a thinly veiled Carthaginian Peace, an agreement that accomplished Clemenceau’s hope to crush France’s old rival. According to its terms, Germany was to relinquish 10 percent of its territory. It was to be disarmed, and its overseas empire taken over by the Allies. Most detrimental to Germany’s immediate future, however, was the confiscation of its foreign financial holdings and its merchant carrier fleet. The German economy, already devastated by the war, was thus further crippled, and the stiff war reparations demanded ensured that it would not soon return to its feet. A final reparations figure was not agreed upon in the treaty, but estimates placed the amount in excess of $30 billion, far beyond Germany’s capacity to pay. Germany would be subject to invasion if it fell behind on payments. Previous PostBanking with our own Bank. We don’t even need Commercial Banks – Nicholas Gruen. Next PostPacking the barrel. A Dangerous Choice for Ambassador to Israel – NY Times.